Update: This post was originally written back in 2014 and we have had no problems since. 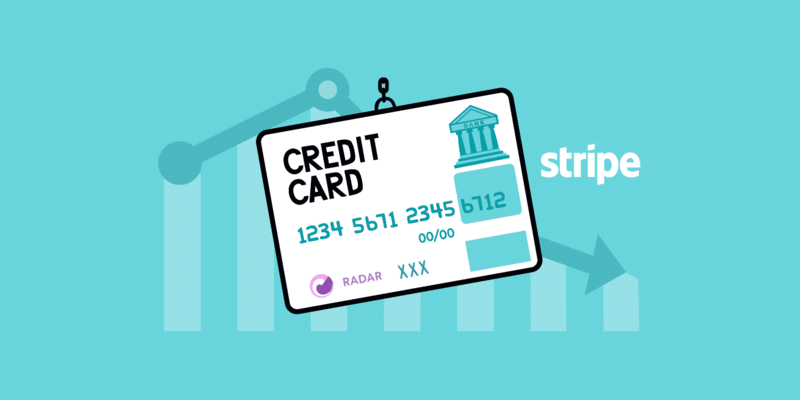 Check out how we’ve reduced credit card fraud by 98% using Stripe Radar. We all make mistakes. We’re just a small hosting startup yet we make mistakes every now and then, I can imagine how hard it can be to look after hundreds of thousands of customers. That, though, is not an excuse, you have to be proactive and if you make a mistake you better own up to it and learn from it. That’s exactly what Stripe did and I’m happy to say that we got our account reactivated and a lot of friendly people from the company reached out to us and made sure we don’t feel left behind. I even had the chance to chat with Patrick Collison, co-founder of Stripe and Andy Young, head of Stripe’s UK division. These guys are building a company that is valued well over a billion dollars yet still took the time to contact us personally, now that’s exemplary customer care. When you’re dealing with a lot of clients you have to have a (high) level of automation otherwise you’d have to operate a customer support team so large that it could fill a city. Automation is never perfect and as someone who spent five years in the search engine optimization (SEO) business I’m no stranger to getting screwed by an algorithm. In Google’s case we were used to not being able to reach out to anyone and our only option was to dust ourselves off and start over. However I don’t expect the same from a company that we are a paying customer of. That’s what hurts the most in my opinion: not being able to get help for your problems and the lack of communication from your business partner. If you’re dealing with customers directly, customer care is everything, even more so in the modern days of social media. Stripe is not the only payment processor online and just like they grew up in the shadows of PayPal (which didn’t provide adequate customer support and made it really hard for developers to integrate their services) they can be knocked out by a current or future competitor that may provide better support and/or a better product at the same pricing levels. In today’s all connected world giants are rising and falling every day. It’s a fact that bad news and bad reviews spread much faster than good ones. You have to monitor social media as much as you can. The discussion about your brand is happening whether you like it or not, the only choice you have is to join or look the other way and pretend that social media doesn’t exist. Now if you’d like to build a longterm business it’s not really a choice. In order to a startup to succeed, in my opinion you have to have three things: meritorious support, one of best products (or services) in your niche and competitive pricing. Customer support is everything though. It is possible that the founders and the management didn’t even know about the issues customer face when trying to reach the support team. Or that overnight, immediate account closures happen at all. It’s important to directly ask your clients for feedback every now and then and work together with them to make your product better. The industry Kinsta is in (web hosting) is infamous for abysmal customer care. I guess in the old days it was easy to put together an okay(ish) server box and put as many clients on it as possible, take their money and when they complained you made them feel like they aren’t really entitled for any support because the service is so cheap. Even though Kinsta provides the best web hosting performance among all of our current competitors, that’s only 10% of the recipe to success. I’d say added value (backups, security, custom admin features, etc.) is another 10% and the other 80% is customer support. Everyone who knows Linux can put together a hosting server, some of them can even build outstanding servers, but if they don’t provide fanatical support (I hope RackSpace won’t sue us for using their trademarked term…) it’s simply not enough. As I wrote in my previous post we really like Stripe. As the lead developer of our team I’d say it’s the best thing that happened to online payments since PayPal. They made a mistake, maybe a tiny one for them, but a huge one for us and when I called them out on it they owned up to it and did everything in their power to fix it. I’m happy to call them a business partner. Good to see they finally gave you all back your account, however it’s rather sad and alarming that it took a post questioning their work ethics/if they care for them to even notice what the issue is and then choose to resolve it. It kinda reads as though they only stepped in to fix this because they are being bashed/called out for their wrong doing. Overall though, it’s good at least that they took the time to try to make amends. Lesson from all this, it should never matter how big a company/person gets, they should always have time to give good customer service (a lesson I constantly need to remind myself of also). Very well said, Shae :) Thanks for stopping by! Also I think there might be a typo, “In order to a startup to succeed” I think maybe you wanted to write “In order for a startup to succeed”. Lastly, I saw that Kinsta has a CDN. Is it inhouse or do you get it from another company? We had a bad experience with Stripe recently. We came at it with high expectations and signing up and creating our payment page was very easy and after taking just 2 payments we received an abrupt email (they use the word abrupt in the email) saying our account was suspended as we had been charging customers without their consent. We contacted both customers and they had not complained or experienced any known issues. We were left high and dry with no phone number to call and 10 days on none of our 3 emails have had a response. Has to be amongst the worst customer experience I have ever had anywhere which is saying something. I suspect Stripe started life with good intentions but with explosive growth forgot all about the customer I cannot believe a business can survive on ignoring customers? We also signed up with Stripe early this year and had very high hopes and expectations. After processing a relatively low volume of sales we encountered 2 chargebacks. Both were fraudulent and one was refunded as soon as it was received. The other was challenged and lost. Stripe now decided to take all money, hold it in reserves without notice and has also advised that they can continue processing transactions but will close the account in a short period of time. Sure they can continue processing transactions, though what good would that do our business if they hold it in reserves? Both of the chargebacks were quite frankly bogus, as the customers received there tracking numbers, the addresses of billing and shipping were the same, the customer has ordered in the past and claimed he did not know where the charge came from. There are many processing companies out there but none like Stripe, or so we thought and there is a possibility that more competition arises in the future however our business is still going to suffer a blow in the short-run since customers still want there orders and there is no money going into the business. What is a company to do in a situation like this, when the processor decides to freeze your account without warning? They indicated afterwards that they do not accept dropship companies as this is against there policy, which is an assumption at the least as they have little insight into how we run our business, we do not rely on a dropship mechanism. They also indicated that they require approval from brand-name companies when our sales are all from non-branded merchandise. We dont know whats going on there but this holiday season is suppose to be full of happiness and success and should be one of the busiest times of the year. Well that sums up our experience for all you curious businesses out there. Sorry to hear your situation I hope it will be resolved soon. Please keep us updated we are all curious! I will definitely keep everyone posted. This should serve as a heads up on the company for anybody doing a quick cursory google search. I remember doing one earlier this year with nothing to find. I’m sure that its mostly small businesses that are using Stripe or are deciding whether Stripe would be a good choice. This could be detrimental for small businesses who are striving in today’s market. Refer to our previous posts. Stripe has put a hold on our funds and suspended our account with no prior notice. We are fully compliant with their terms and conditions. You have been warned people. The business looks sketchy to begin with. Their initial support is great however goes downhill once you get 1 chargeback OR when they feel it is time to take your businesses profits! We spoke to a guy named Keith Briggs. Conclusion: Stay away. Unless you want to get robbed when the CEO and managers like to go on crack binges or need extra cash, same difference. Also just received an e-mail from Stripe today stating they are stopping our service. I am really disappointed as I like Stripe but the service is really poor. Since opening 3 weeks ago I have taken thousands of dollars worth of sales via PayPal and not a single issue but with Stripe a very small amount and already a single charge back. To reduce the risk with Stripe I changed to authorization only rather than capture and also added in fraud prevention via Subono which works great. I would have hoped that Stripe would have reached out and asked how they can help rather than just shut me down. I’d like to know: Were you using Stripe Connect or Stripe Payments? So, it took a post on your blog to get your account back. This is frankly disgusting. In any case, I’ll make sure to let everyone knows about my experience with them. I totally agree with the great support at first and then sudden decision to shut down our account. 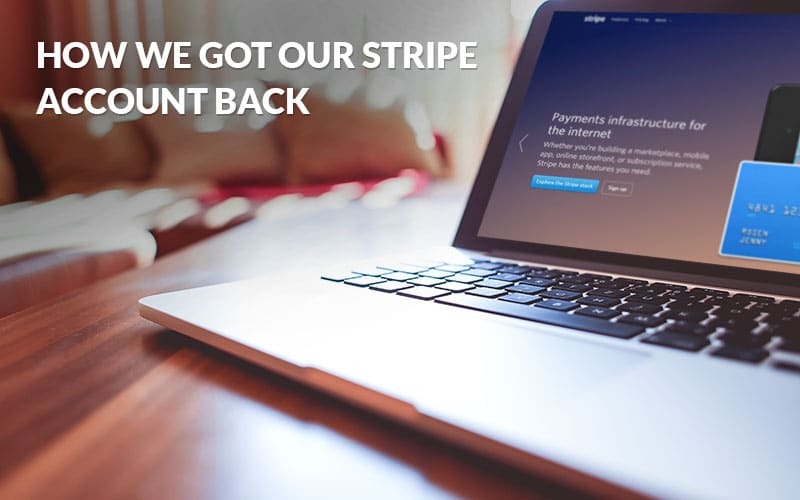 Honest businesses must be warned against Stripe. So I checked out my Prestashop store, saw the attempts to use a credit card (but the fake person never bought anything…there was just an attempt at a charge by the same person hundreds of times within a few minutes. No money received, nothing bought). I added a CAPTCHA and the fake activity stopped. “Our systems recently identified charges that appear to be unauthorized by the cardholder, meaning that the owner of the credit or debit card did not consent to these payments. This unfortunately means that we will no longer be able to accept payments for back-wall-art.com. Refunds will be issued in 5–7 business days, although they may take longer to appear on the cardholder’s statement. Please refer to your dashboard for a list of the charges to be refunded. What????? So I refer to my dashboard and there are no charges or refunds or disputes. There were no charges. None. And Stripe cancelled the account. Hmmm…..
Emails to Stripe support did not get a reply. 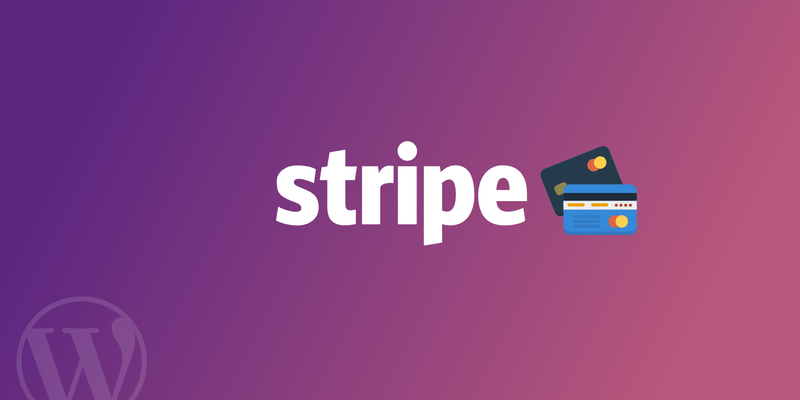 Bottom line: Stay away from Stripe. It appears that Stripe has morphed into another PayPal. All mouth and trousers. I would have thought that it would be common courtesy to contact people before running off with their money to at least warn them there was potentially a problem. Also supplying the name and contact phone number to actually talk to someone about this “problem” before it gets out of hand would be a GREAT Customer Service – and in my view shutting down an account and keeping your money is completely over the top. Just a PayPal clone with the same crappy customer service attitude – we have your money and we will keep what we want! Shame on them, their investors and management. Please stay away from Stripe at all costs. Their customer service is absolute crap in that they only respond via email and always with very vague answers. The only reason they unlocked your account is because you had a big platform that would impact their brand–should you not have done this follow up email. But what about the small businesses that dont have such a platform? Yesterday, I got an email that a product that had been on my site for a year was “prohibited.” They never cared before, now my sales have shot up thanks to SEO and all of a sudden they care. Thankfully I was able to get my account hold removed once the item was removed from the site. Talk about a wake up call. What if they would have held the funds for orders I had already shipped out based on “discretion.” Chargebacks are inevitable with e-commerce. You cant just shut down someone’s livelihood suddenly with no proper explanation. What if their business was shut down abruptly because of all tge negative BBB Complaints THEY have. Thankfully i havent had any chargebacks yet, but i removed them from my site immediately after my account hold was removed. Thank God i was able to excape before they destroy my business. I feel horrible for those that arent as lucky! Hey Whitney, at the time this occurred (2014) we were actually still a very small business. Unfortunately, every payment processor is going to have issues like this… BBB has just as many bad reviews about PayPal as they do for Stripe. And they all have their horror stories, ours included. Hi! I was looking for real stories about Stripe before I use them for a SaaS startup. I’m very glad to hear this part: “they owned up to it and did everything in their power to fix it”. Everyone makes mistakes, sometimes big and sometimes small, but it’s critical to OWN IT! Excuses count for NOTHING to me. Kudos to Stripe for making it right and thanks to Kinsta for sharing the experience so that I can learn from it 4 years later (Aug 2018). Keep up the good work! But when your account got reactivated you did not give any details on why they decided to reactivate your account or any further details on why they deactivated it in the first place. You said you talked to the co-owners or something so give us some details on what was discussed? there is so many people getting screwed by stripe still today… if you have any tips on what to say to stripe when talking to them to get reinstated, it would be nice if you let us know? There isn’t anything special we can share here. Stripe reviewed our case and found out that it was not our fault and they reactivated our account. I know it’s not very helpful but all I can recommend is to reach out to Stripe support and ask them to take a deeper look at your account, check all suspicious payments and activities and see if they can recommend you something to prevent those payment attempts and protect your account for future suspension. I cannot make payout request I have a fund in my account no response from support in last 7 months.